I collaborated with Expedia.com to share the perfect itinerary for a weekend in St. Louis. As always, all opinions are my own. Oh, St. Louis– the Gateway to the West! Why is it called the Gateway City exactly? Well, St. Louis played an integral role in the westward expansion of America. In the 19th century, Lewis and Clark, among many other adventurers, used St. Louis as a starting point for their journeys to the West. Hence, the iconic Gateway Arch was constructed to symbolize its significance. 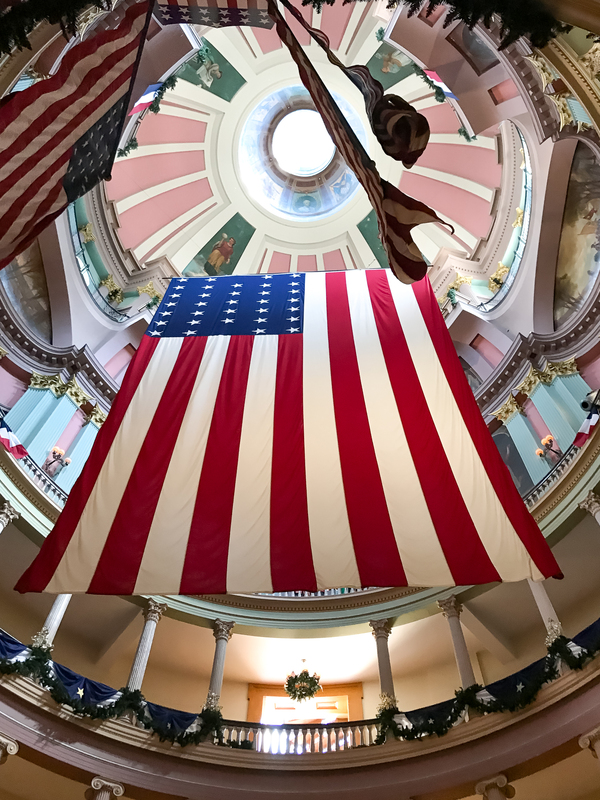 That, combined with dozens of other premier community attractions, makes St. Louis one of the richest cultural and historic cities in the country. And now that we live just an hour and a half away, it’s also quickly become our favorite weekend getaway spot. Fortunately and unfortunately, there’s no shortage of fun (and oftentimes free) local activities. It can be tough trying to fit everything into one weekend. So, I’ve created this handy St. Louis weekend travel guide to break down where to stay, what to eat, and, most importantly, all the most fun things to do in St. Louis. When it comes to quality and location, you absolutely cannot beat The Chase Park Plaza Hotel! It’s located in the heart of the Central West End, just steps away from scenic Forest Park. The hotel is actually a preserved Art Deco building that dates back to 1922, and it’s been named one of the Historic Hotels of America. The Chase Park Plaza has a gorgeous pool area, 18,000-square-foot fitness center, spa, business center, barber shop, movie theater– and I can keep going. As far as food options go, in addition to in-room dining, it also features four amazing dining establishments. They’ve adopted more of a “food is art” philosophy, and Kyle and I were in heaven the entire time. Did I mention how gorgeous the outdoor pool area is? I’m originally from Florida, and these vibrant palm trees and lush tropical landscaping made me feel right at home. If you ask a native Missourian to list the most fun things to do in St. Louis, I can almost guarantee that City Museum will be their top recommendation. Saying it’s a local favorite is a grand understatement. Formerly the International Shoe Company, City Museum is 600,000 square feet of indoor and outdoor children’s playgrounds, industrial (and adult-friendly) jungle gyms, and architectural wonder made entirely from unique, industrial found objects, like old school buses, light aircrafts, and construction materials. Tickets to the museum are $12 per person. You can also add $5 for roof access, which I highly recommend you do (weather permitting), and $6 for aquarium access. You can purchase your tickets when you arrive or online for a $1 convenience fee. City Museum is open 7 days a week and gets super crowded on the weekends. We went on a Sunday and had to wait 45 minutes just to get inside. If you can finesse a week day visit, your experience will probably be most enjoyable. See more information on the City Museum on Expedia.com. Again, $5 for roof access is worth every penny. You have a stunning view of the city, plus access to a 10-story slide, ferris wheel, and dozens of other fun nooks and crannies. Kyle and I were in heaven at the Anheuser-Busch Brewery. It’s an American institution! When it comes to fun things to do in St. Louis for couples without kids, this is a must-do. The St. Louis Anheuser-Busch complex is the oldest and largest Budweiser brewery location in the country. Opened in 1852, three of its buildings have been placed on the National Register of Historic Places. General brewery tours showcasing their 7-step brewing process are completely free, although you may want to get there early on weekends to reserve your spot. If you do end up having to wait, you can hang out around the complex, grab a bite, and sample some of their brews in the The Biergarten. You can also pay between $15-35 for the St. Louis Beermaster Tour, which includes a trip to the famous Budweiser Clydesdale Paddock and Stables, or to take a Beer School class. Special events and seasonal attractions vary depending on the brewery’s schedule. And how gorgeous is this Clydesdale? What a beauty! We went on a Saturday afternoon, and he was available for photos until 4PM. Call or email for specific dates/times. When it comes to local monuments, it doesn’t get much better than The Gateway Arch. As previously mentioned, it was erected to symbolize the role St. Louis played in America’s westward expansion. It’s huge, and photos don’t really do the architectural design justice. For the best view, head to Kiener Plaza! On particularly hot days, you can duck into the Old Courthouse for shelter from the heat and to purchase Journey to the Top tickets. Yes, you can pay $13 to ride a giant elevator to the tippy top of The Arch. If small high spaces aren’t your thing, you can check out the Museum of Westward Expansion, located under The Arch. Unfortunately, it’s currently under significant renovations, so it’s been closed every time we’ve tried to go. Whether you have kids or not is irrelevant– the St. Louis Zoo is a must-do for people of all ages. Entry is completely free to the public, and it was recently voted Best Zoo and America’s Top Free Attraction. I’ve already gone twice to experience 17,000+ amazing animals in the Zoo’s care. It does get very hot and very packed in the summer months, so dress accordingly and try to go during the week if you can. I would say it’s hard to pick a favorite exhibit, but it’s really not. The Penguin & Puffin Coast exhibit is phenomenal. You wait in a five-to-ten-minute line adjacent to Humboldt Haven, which houses dozens of playful Humboldt penguins. Then, you’re gradually allowed inside Penguin Cove and Puffin Bay, and you literally shiver your way between two rocky cliffs filled with four different species of penguins, two types of puffins, and various other water birds. There are no cages. It’s Happy Feet magic. You could easily spend all day traversing your way around the St. Louis Zoo. There are so many incredible exotic animals to see. Second to the penguins and Antarctic animals, the Red Rocks exhibit, which includes zebras, elephants, giraffes, and Big Cat Country, is a must-see. If you or your children are particularly devout animal lovers, you’ll also want to stop by Grant’s Farm. It’s a little further outside the city, but we’ve been told it’s 100% worth the trip, especially for small children. We were only in town for the weekend, so we couldn’t fit the 30-minute drive to the 281-acre ancestral home of the Busch family into our itinerary. Grant’s Farm is definitely on our hit list for next time, though! Oh, and general admission, tram rides, and shows are all completely free. Imagine a city museum filled with more than 33,000 original works, including paintings, sculptures, and masterpieces from Picasso, Monet, and van Gosh. Now imagine it’s completely free to the public. Sound too good to be true? It’s not. The Saint Louis Art Museum is one of the principal American art museums, and it’s visited by up to a half a million people every year. You can easily lose yourself in any of the hundreds of rooms spanning three floors of artwork. For example, during my last visit, I stumbled upon Monet’s Water Lillies while trying to find the bathroom. My mouth just dropped. Whether or not you’re an art aficionado is irrelevant. Standing just two feet away from a long-standing artistic masterpiece will take your breath away. Forest Park is a park lover’s dream come true. It covers over 1,300 acres of scenic natural and recreational areas. Due to its stunningly green atmosphere, Forest Park is frequently inhabited by runners, picnics, and festivals. It’s also home to a handful of cultural institutions, like the aforementioned Saint Louis Art Museum and Saint Louis Zoo, plus the Missouri History Museum, The Muny outdoor musical theater, the Science Center, and the Shakespeare Festival. Forest Park is also home to the World’s Fair Pavilion, which is a prime photo op for photographers and bloggers! You can snag these outfit details here. Citygarden is exactly what it advertises– an urban oasis in the heart of downtown St. Louis. It’s completely free to the public and has an audio tour and free iPhone App that are designed to enhance the visitor experience and highlight the garden’s twenty four sculptures. In addition to local artwork, the garden is rich with an extensive, Instagram-worthy plant and flora palette. Similarly to the rest of the parks in St. Louis, the garden is open from sunrise to 10PM. Also, from Memorial Day through Labor Day, Citygarden features multiple pools, fountains, and spray plazas for summertime fun. Click here for water feature rules and guidelines. The Saint Louis Science Center is yet another community favorite. If you’re somebody who thinks science isn’t fun, there will be long line of anxious fans wrapping themselves around the building at 11AM who adamantly disagree with you. General admission is free, although you need to purchase tickets to access quite a few of the exhibits. For example, the Saint Louis Science Center features an IMAX dome theater, which plays both new feature films and informative documentaries, and a 24-meter dome planetarium, both of which require separate entrance fees. 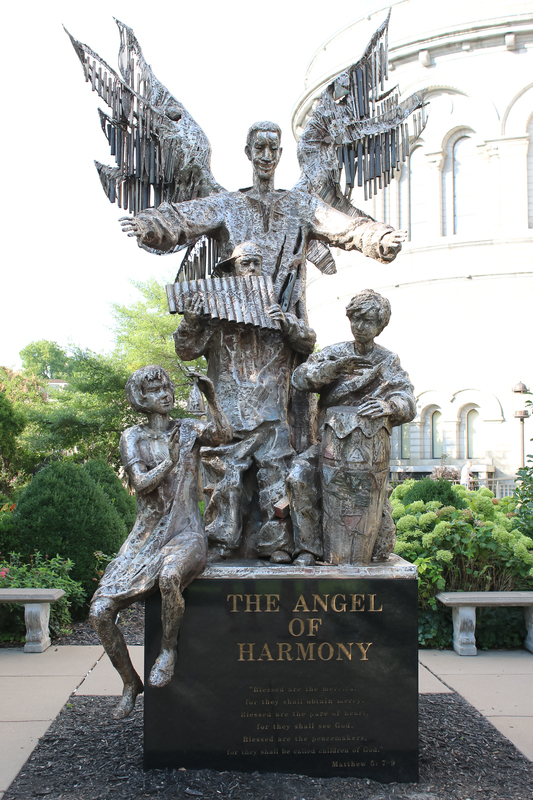 Construction of the breathtaking Cathedral Basilica of Saint Louis began in 1907. Paved with Romanesque windows and 83,000 square feet of mosaic art, this cathedral was dubbed “the outstanding cathedral of the Americas” by Pope Paul VI. Guests are encouraged to take complimentary guided tours, attend mass, visit The Mosaic Museum, and shop in the Cathedral Shop. Proceeds from the Mosaic Museum and the Cathedral Shop are allocated to help ensure that the cathedral remains open to over 200,000 visitors per year. St. Louis’ rich culture doesn’t stop at parks and recreation. The food is phenomenal. Although there are hundreds of incredible restaurants throughout the city, here are four of our personal favorites. Located inside The Chase Park Plaza Hotel, The Preston is a date night dream. It has a fun yet cozy urban ambiance and offers a menu of some of the most delicious signature “Liquid Art” cocktails we’ve ever tasted. The chef prepares a variety of succulent small plates designed to be shared in a family-style setting. Check out their full menu here. Literally everything we ordered was phenomenal, but our favorites were the Grilled Baby Gem Salad, Kaldi’s Rubbed Petit Filet, and a decadent mousse masterpiece called the Chocolate Cherry. If you’re hanging out in Forest Park, stop and have lunch or dinner on the lively lakeside patio of The Boathouse Restaurant. In addition to delicious food, you can enjoy leisurely boat rides surrounded by dozens of lively ducks and geese, cold drinks, live music, and beautiful scenery. I’m from Florida, and I’ve been missing Tijuana Flats like crazy. Mission Taco Joint has filled that void. They’re unique to St. Louis, and it’s the perfect spot for a casual lunch or cocktail hour. There are four locations throughout the city, and their unique Mexican street fare will not disappoint. We heard about Beyond Sweet from The Feast culinary magazine. If you have a sweet tooth, beware. You’ll be in caloric heaven. Beyond Sweet serves massive milkshakes that are practically made for Instagram. The location is a little questionable and the wait times are high (it takes about twenty minutes per milkshake), but it’s totally worth it. Kyle and I split the Cookies and Cream milkshake, and we didn’t even put a dent in the massive mason jar of Oreo goodness. A family of four could easily split a single milkshake. You just have to unanimously decide on one first. What are some of your favorite fun things to do in St. Louis? Did I leave anything awesome off this list? As Kyle and I get more and more settled into our Columbia nest, we’re planning to explore even more of Missouri. Stay tuned for upcoming midwestern travel guides like this one! I live in STL! (Well, the Metro-East.) Great list! I was going to suggest the Cathedral Basilica, but you covered it! If you have the time on your next trip, try to see a show at the Fox — it’s lovely! Also, Fitz’s for a casual lunch is awesome. They make their famous root beer and cream soda right next to where you eat! Fitz’s is a STL classic and it’s great for families because kids love to watch the soda being made. This post was such a cool glimpse into St. Louis! I especially love the photos from the art museum. I want to visit as many art museums as possible and this one is definitely getting added to the list. Hi Emily! Definitely visit if you have a chance! The Saint Louis Art Museum is FREE, which blows my mind, and it’s fabulous. Definitely a must see! I’ve never been but it looks like such a cute city!! I’ve never been to St. Louis, great glimpse in this charming city ! What a fun getaway! I visited STL in college, but would love to go back now! Ill keep this post in mind when I visit st louis next! What a fun and amazing experiences! It looks like you had fun, those photos are pretty amazing! I’ve been to St. Louis once but it was only to drive through. Would love to go back and explore all these things. Hi Grace! It’s definitely worth a stop if you’re road tripping your way through. So much to do– and so much of it is completely free to the public! I couldn’t agree more with you, Bruce. St. Louis is one of the coolest cities in the midwest– definitely worth a visit! oh, the photos do look amazing! that seems like such a fun time! Sounds like so much fun! I love your palm tree dress and the hotel looks divine! First of all these photos are amazing!! And my parents visited St.Louis about a year ago and loved it, I definitely want to travel there! The City Museum pictures… wow! I totally want to go! That museum looks like an absolute blast. I’ve literally never seen anything else like CityMuseum. SUCH an incredible place! Hope you get to visit one day! How gorgeous are these pictures?! You make this trip and location look like so much fun. St. Louis looks like so much fun! I’ve always wanted to visit. I’ve never been to St. Louis, but this post makes me want to! Gorgeous capital building. Another hidden gem is the Jefferson Barracks Telephone Museum. It is about a 15-minute drive from downtown St Louis and has a large collection of telephones and telephone-related items. It is great experience for the entire family. The kids will like the hands-on, interactive items and learning about the history of the telephone and the adults will like reminiscing about the phones they use to use. Thanks so much for the tip, Karen! Will definitely check out the Jefferson Barracks Telephone Museum next time we’re in STL!